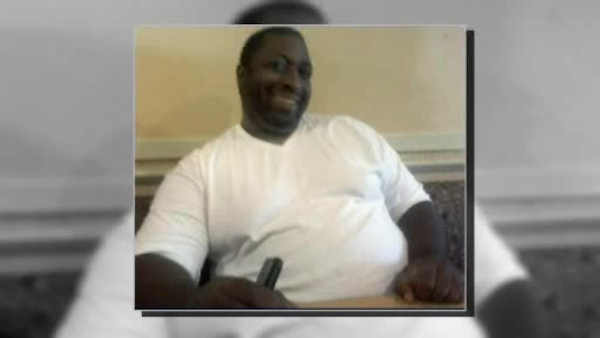 NEW YORK (WABC) -- Sunday marks two years since the death of Eric Garner on Staten Island. Mayor Bill de Blasio remembered Garner and discussed policing in a speech at the First Central Baptist Church in Stapleton. Several members of Garner's family continue to call for change. They joined the Rev. Al Sharpton Saturday in a march for justice in Brooklyn. Family, elected leaders and the National Action Network will visit Garner's grave Sunday. The 43-year-old died after being put in an apparent chokehold by a police officer. The family reached a $6 million settlement with the city. Video showed the 43-year-old Garner, after being stopped by officers for selling loose, untaxed cigarettes, telling the officers to leave him alone and refusing to be handcuffed. Officer Daniel Pantaleo responds by putting Garner in an apparent chokehold, which is banned under NYPD policy, as he was taken to the ground. The heavyset Garner, who had asthma, is heard gasping, "I can't breathe." He later was pronounced dead at a hospital. The medical examiner ruled Garner's death a homicide caused in part by the chokehold. But police union officials and Pantaleo's lawyer have argued that the officer used a takedown move taught by the police department, not a chokehold, and that Garner's poor health was the main reason he died.